Now the weather is warmer and the days are longer, people are getting out and exercising (myself included) and what I have noticed is an influx of clients asking for help in treating Plantar Fasciitis. Remedial Massage used in conjunction with Dry Needling is a very important tool when it comes to treating and dealing with the symptoms of Plantar Fasciitis. Firstly, what is Plantar Fasciitis? Plantar Fasciitis is an inflammatory condition caused by tissue fatigue in the arch of the foot. Most of the time it is an overuse injury caused by excessive strain (like exercise) or biological functional factors (like the way you are put together). It can be felt as pain in the arch of the foot or the heal and may be worse upon waking or after long periods of standing on hard surfaces. Most of the time in my profession I see it caused by increased tension in the calf muscles, the muscles that run down the back of your lower leg, from your knee to your foot. The Soleus Muscle which attaches to the Achilles Tendon is particularly to blame for this kind of pain and releasing this muscle through Remedial Massage and Dry Needling can bring about a lot of relief to the sufferer. Why Remedial Massage & Dry Needling together? Remedial massage and Dry Needling work extremely well together. Sometimes, as this is an inflammatory condition it can be quite painful to touch the area so with the help of Dry Needling prior to Remedial Massage I am able to target tight and painful areas with fine Acupuncture needles. Dry needling works to release the Myofascial and Remedial Massage techniques follow allowing the muscles to be stretched out and fibrous sections and trigger points kneaded out. Remedial massage in important in increasing flexibility in the muscles of the ankle, calf and foot in order to treat this biomechanical condition. It has significant benefits in decreasing pain and allowing the client to return to normal weight-bearing activities. If left untreated Plantar Fasciitis can cause other problems in your body as you will not be walking in your normal gait, subsequently causing muscle imbalances and pain in other parts of your legs, gluteal muscles and lower back. Remedial Stretching known as PNF (proprioceptive neuromuscular facilitation) will also be facilitated throughout the treatment session to increase joint flexibility. Some things to do at home. Stretch! Stretching you calves is very important, especially after exercise. I recommend when you are suffering from the symptoms of Plantar Fasciitis is to stretch for 20 seconds every time you have a drink of water, this way you will be stretching throughout the day which helps a lot. You will need to do both straight leg and bent leg calf stretches to be sure that all muscles of the calf are being stretched. You can either hang off a step or lean against a wall and hold each for 20 seconds. Another helpful hint is to fill a 500 ml water bottle and freeze. Roll under the arch of your foot to decrease pain and inflammation. If symptoms persist please see a Podiatrist as they will be able to look at the way you walk, your arch height and determine any other factors contributing to your pain. (Most, if not all of the people I treat with Plantar Fasciitis have seen a Podiatrist prior to coming to see me). I can also help with showing you some self-massage techniques to use at home. Using a massage ball and foam roller to trigger point painful muscles and release your tight Myofascial is very beneficial and I can show you how to so this at the end of your treatment session. If you struggle to sleep, then any form of massage can be beneficial in helping you to relax. At the same time, the essential oils used in aromatherapy can greatly assist in encouraging you to sleep. There have even been cases where aromatherapy has been shown to relieve long-term insomnia. Studies have taken place in both aromatherapy and hot stone massage to show that they can be helpful in strengthening your immune system. In aromatherapy, the following oils have been shown as particularly beneficial: cypress oil, sweet almond, lavender oil, sweet marjoram oils and tea tree oil. Brisbane Wellness Clinic has spent more than 3 decades helping relieve pain and stress. We are experts in Eastern medicine and offer a whole range of massage services that can be tailored to fit your needs and requirements. Massages are commonly used to address and manage pain. It can be a regular preventive massage or tailored for specific injuries. There are over 80 different types of massages dependant on the pressure application techniques employed for this purpose. All of these techniques involve pressing, rubbing, and manipulation of different tissues and muscles. Full body massages are for those looking to relax and unwind. Your therapist will work on your entire body, helping to untie the knots in your muscles. If you have yet to get a massage, go ahead with this one. We live and work in stressful conditions, and a full body massage is the best way to manage stress. Massages help reduce the release of stress hormones, helping your body unwind. Look no further for full body massages in Brisbane. These are deep massages customised for injuries or musculoskeletal disorders. It focuses on the soft tissues of your body; tendons, muscles, ligaments, fascia and skin. Chronic conditions that result in pain can be managed through this form of massage. Do you have an injury or previously had one that still causes you pain? Then choose remedial massage as it will promote internal healing and help fasten the recovery process. Trigger points are areas in the muscle that radiate pain in local or far away region of the body. For instance, a trigger point in the back can cause referral pain in your neck or even in your lower body. This type of massage smoothes over these triggers points by specific cycles of pressure application and release. Timing is very important in these cycles. However, you have to work with your therapist to find out where these trigger points exist in your body. 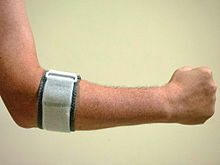 These are specifically designed for sports related injury. However, you can also use it as a preventive therapy to avoid injury during exercise or athletics by making the body more flexible. Therapists are specially focused on areas most commonly injured in a particular sport. Pregnancy can be very stressful with the constant pain in your back, neck and feet. Swelling, problems in movement, anxiety and depression all can be reduced by a pregnancy massage. These massages are designed to help you get rid of pain in your back, hip, leg and other regions and increase your blood flow. This improves your health as well as gets you ready for the new member. Already know which massage you want to have? Refer to our massage section to find details and book online now! We are one of the best massage clinics in north Brisbane.